This attractive 12-page guide contains easy wood finishing and home decorating projects you can do in a weekend. 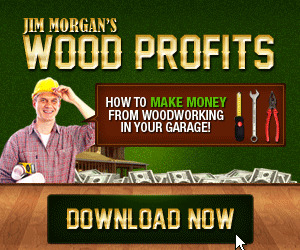 Also featured are helpful tips and techniques on wood maintenance and repair. Free. For more information, visit www.mlnwax.com. Circle 25.
www.mlcswoodworking.com or call toll-free 800-533-9298. Circle 22. OSBORNE WOOD PRODUCTS, INC. Manufacturers of stock and custom wood parts such as table legs, tapered legs, balusters, newel posts made from alder, cherry, maple and oak. Free catalog. For more Information, call 800-8498876 or visit www.osbornewood.com. Circle 146. OUTWATER PLASTICS INDUSTRIES, INC. Outwater offers 40,000+ woodworking products at the lowest prices! Extrusions, furniture & cabinet components, wood carvings, lighting, casters, laminates, moulding & millwork, hardware and more! Call 800-772-1400 (Catalog Requests)/ 800-6318375 (Sales & Info) or visit us at www.outwater.com Circle 147. PENN STATE INDUSTRIES Penn State Industries offers quality woodworking equipment and supplies. For a FREE catalog visit us on the web at www.pennstatelnd.com or call toll-free 1-800-377-7297. Circle 28. ROCKLER Rocker is the #1 resource for hinges, slides and other hard-to-find hardware. We feature an exclusive line of jigs, shop tables for band saws, drill presses, routers as well as exotic and domestic hardwoods. For more information, call 800-403-9736 or visit www.rockler.com. Circle 151. SPACEBALLS Black Bridge Online has a simple solution to panel movement in cabinet doors...Spaceballs! When Spaceballs are inserted into the dados of the stiles and rails, when constructing solid wood panel doors, panels will be centered and cracking of glue joints is significantly reduced and "panel rattle" Is eliminated. For more information, call 800-826-8912 or visit www.blackbrldgeonllne.com Circle 108. TITEBOND III ULTIMATE WOOD GLUE Titebond III offers superior bond strength, longer open assembly time and a lower application temperature. Waterproof and cleans up with water. It passes the stringent ANSI/HPVA Type I water-resistance specification. The best choice for interior and exterior wood-to-wood applications. Franklin International, Inc. Circle 16. TURBINAIRE Turbinate offers a complete line of Turbine and Compressor HVLP Spray Equipment. The unique built-in speed controller on Turbinaire variable speed turbines provides the versatility to control the air output based on the material being sprayed; reduce air for light bodied coatings and increase air for heavy bodied coatings. For more information, call 800-866-HVLP or visit www.Turblnaire.com Circle 35. WAGNER ELECTRONICS World leader in moisture measurement technology for over 40 years offering a complete line of handheld moisture meters for almost any application. Offering a superior line of pin-free moisutre meters. For more information, call 800-505-1281 or visit www.molsturemeters.com Circle 163. WOODTURNERS INC. Table legs, Queen Anne legs, bed posts, table pedestals, furniture parts, bun feet and furniture hardware. In stock. 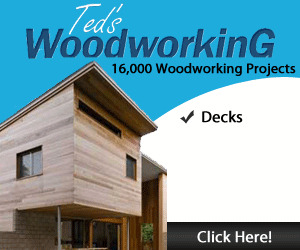 Call 1-877-603-9663 or visit www.woodturners.net Circle 166. Be original this year, send her the Creative Alternative to Flowers - a Bear-Gram gift! Over 100 Bears to choose from, each delivered with gourmet chocolate and a card with your personal message in our famous gift box.